Most of my Saturday mornings are spent in bed, tired from the week just gone. But last Saturday, Reena had me out first thing to head to the V&A Museum to check out the new Alexander McQueen Exhibition that just opened: Savage Beauty. The exhibition is absolutely amazing. 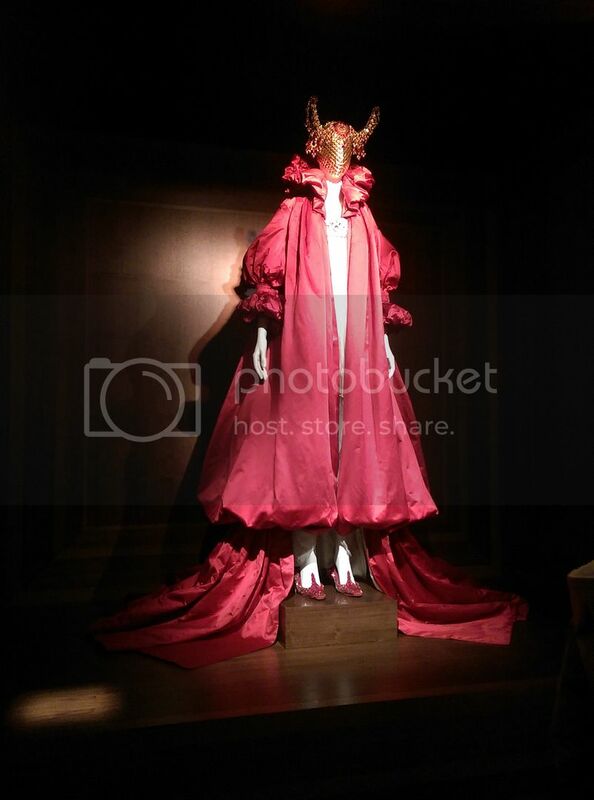 It showcases the incredible talent and collections through the years of McQueen. It has on display some of the incredible runway looks, with information about each of the unique collections. The set up of the exhibition really brings it to life though. It was split in to different rooms, themed to suit each collection. There were quotes and catwalk videos dotted around the room, with background music to match. This post can literally do no justice to just how amazing this exhibition was. It was emotional at times, especially during a beautiful tribute from Kate Moss half way through. If you're in London any time between now and August, I definitely recommend booking tickets online and heading on over. I so wish I had been in London for long enough to leave the airport yesterday - this exhibit would have been my first stop! Oh, how I would love to see this exhibit in person!